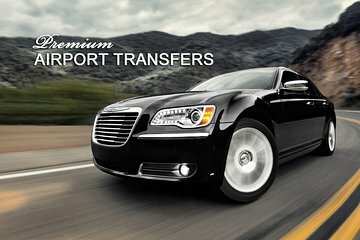 Geniet van een zorgeloze aankomst in Sydney met deze premium transferservice vanaf Sydney Airport. Ontmoet uw chauffeur bij aankomst op de luchthaven, reis met comfortabele Sedan of minibus met airconditioning (afhankelijk van de grootte van uw groep) en geniet van deur-tot-deur-service rechtstreeks naar uw hotel in Sydney. U hoeft zich ook geen zorgen te maken over ongelegen aankomsttijden of vertragingen - transfers zijn 24 uur per dag, zeven dagen per week beschikbaar. Previously responded to but pleased to repeat. My concern was having been delayed at the airport due to Qantas delay in making luggage available, the driver demanded an additional payment of 30.00 cash for the inconvenience. This was paid although I firmly believed this was unjustified and a blatant grab for cash. I have had no feedback to the previous review. Driver met us at the airport as we walked out of customs. Professional driver who took us for a little sight seeing trip of downtown Sydney, just before taking us to our hotel. Highly recommend this service. Communication was great. Niko our driver was waiting for us, packed all our bags and we had so much fun with him on the drive to our accommodation that we will be asking for him to drive us back to the airport when we leave. A great experience! Excellent service. Driver waiting with sign, early as our plane landed early. Would most definitely use again and would recommend to all. Driver was prompt and courteous! Extremely friendly very helpful clean vehicle would youse Viator where ever possible. Our friendly driver, Nico, arrived on time and was pleasant, funny and informative! The vehicle we arranged was a luxury crossover with plenty of room for my 6'6 husband and our 4 suitcases and 2 carry ons. The service was provided by Luxcar and the price for a private transfer to CBD was well worth it.